(Chris Detrick | Tribune file photo) Utah Gov. Gary R. Herbert at the Sufco Mine in Emery County in 2011. Federal regulators have granted a substantial royalty rate discount — worth up to $19 million — due to unspecified geological difficulties in extracting coal in the Upper Hiawatha seam in Sufco’s Quitchupah and new Greens Hollow leases. 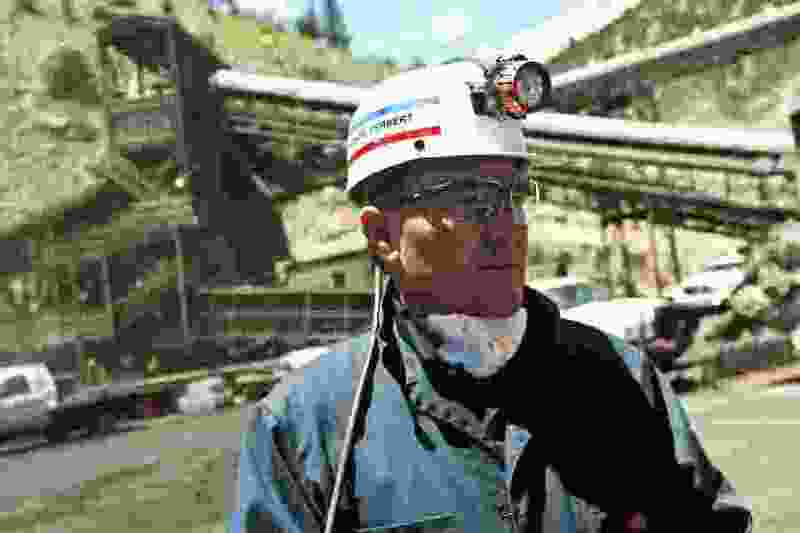 Utah’s largest coal mine is getting a fee discount worth up to $19 million after the Bureau of Land Management authorized a royalty reduction in recognition of unspecified difficulties the company faces in extracting certain deposits of coal. The BLM quietly granted the reduction on March 6, lowering the standard 8 percent royalty rate to 5 percent on 15.1 million tons of coal extracted from the Sufco Mine on the Wasatch Plateau, where Utah’s Sevier, Sanpete and Emery counties come together. The BLM decision, which represents a substantial loss of revenue that would otherwise go to local governments, cited “significant and unique adverse geologic conditions,” but gave no further explanation of why such a generous reduction is warranted, presumably to protect propriety information submitted by the mine’s owner, Bowie Resource Partners. “The royalty rate reduction will allow BLM to require the operating mine to recover and not waste the coal energy,” wrote BLM spokesman Ryan Sutherland in an e-mail. The rate reduction is retroactive to Nov. 1, 2017, and expires after six years, according to the decision notice BLM Utah state director Ed Roberson sent to Sufco general manager John Byars. The document was recently filed with the Utah Division of Oil, Gas and Mining (DOGM), which oversees coal mining. The royalty change applies to coal in the Upper Hiawatha seam in Sufco’s Quitchupah and new Greens Hollow leases, documents indicate. Byars did not respond to requests for comment. The BLM typically weighs royalty reductions in secret, refusing to divulge even basic information, such as how big a reduction the applicant is seeking, how much coal is involved and the reasons for proposed reductions. State regulators at DOGM had signed off on Sufco’s proposed rate reduction and officials cautioned against characterizing it as a break, instead arguing that such royalty reductions are reasonable in light of unforeseen factors that depress the value of the coal or boost the cost of extraction. Officials said they endorsed Sufco’s royalty relief because the coal cannot otherwise be profitably mined and could remain in the ground, where it would generate no money at all. But critics of the coal industry say such discounts amount to another subsidy to a long-pampered industry that is now endangered by falling commodity prices. “If this coal can only be mined by stiffing Utah and local taxpayers, it’s a bad deal,” said Ted Zukoski, an attorney with Earthjustice who has challenged royalty reductions sought by other coal companies. At current prices for Utah coal, which is selling for about $42 per ton on spot markets, Bowie’s royalty reduction cuts revenue to the federal treasury by $19 million. Half of federal mineral revenues are shared with the state hosting the mineral extraction on public lands, and Utah distributes much of the money, in turn, to the counties involved. In other words, Sufco’s royalty relief could translate into a $9.5 million hit to local governments in rural Utah. The company must document that difficult mining conditions continue to warrant the royalty break, by submitting a confidential accounting of the conditions and “operating margins” every six months for review by BLM mine inspectors. The BLM can terminate Bowie’s rate reduction if adverse conditions are not verified in two consecutive inspections, according to the BLM’s decision notice. At the same time, a smaller Utah coal producer is getting another kind of break. Records indicate Alton Coal Development remains delinquent on three years’ worth of property taxes owed to Kane County. The owners of the Coal Hollow Mine outside Alton owe Kane County $590,232.76 in unpaid taxes, penalties and interest on land and mineral rights where they operate a strip mine, according to the county treasurer. Alton Coal Development is obligated to pay taxes on three 1-mile-square sections, assessed at $17 million, according to the Kane County assessor’s office. With an annual tax bill of around $176,000, the firm hasn’t paid its property tax in 2014, 2015 and 2017. Meanwhile, Utah taxpayer dollars are being used to support Alton’s interests in several legal actions. Public money funded a lawsuit that Kane County brought, at Alton Coal’s request, to end a short-lived moratorium on federal coal leases. The Utah Legislature has also set aside public money to fund the company’s proposed lawsuit against California’s cap-and-trade program that raises the cost of power generated by Utah coal.